Internet Marketing is the latest method of Marketing. During Yester-Years we have seen ads in print media and television. In Today’s world, most of us access internet in one or other way. Internet is becoming a necessity of the modern lifestyle. So internet is becoming the best medium of Advertising. Now companies launch online marketing to attract customers from Internet. It’s a vast field for Advertisement. We often watch those ads on different websites apart from the main content of the website. These ads not only attract visitors to the website but also make a brand value. Search Engine Optimization (SEO): Getting you website ranked on targeted keywords on search engines. 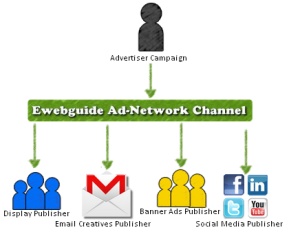 Pay-Per-Click Advertisement (PPC): Using Tools like Adwords for paid Advertising. Video Marketing: Posting advertisement videos of your product on youtube and other video platforms. Email Marketing: Sending Email Newsletters to you. Social Media Optimization: This is a Internet marketing using Social Networking Sites like Facebook and Twitter. We have a good track record of Internet Marketing for a couple of projects. We have experienced employees who have worked on SEO, SMO, PPC Tools and other Marketing tools. We know how to target correct keywords which will benefit your business in the best possible way at least price.